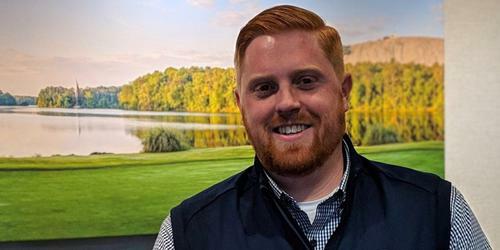 It's getting to be that time of year again, the time of year when all eyes in the golfing world stare directly at Augusta, GA and the PGA Tour's first major of the season. 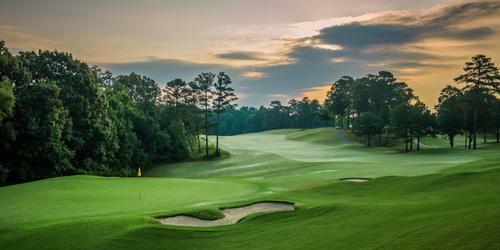 Augusta, GA is certainly a well-known golf destination. 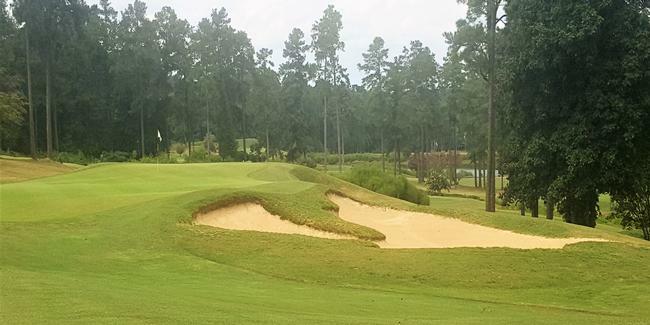 Outside of that course that very few will ever have the privilege of playing, there are a number of great local tracks that the public does have access to. 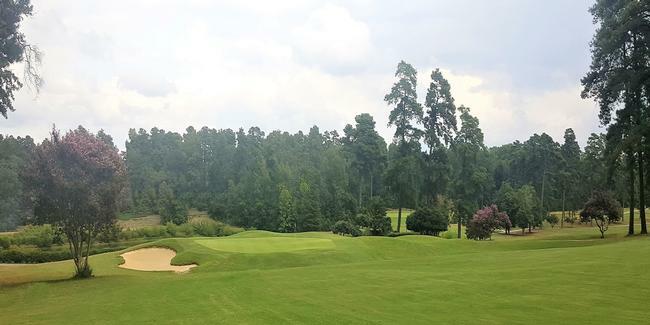 One of these courses is Forest Hills Golf Course, an 18-hole Donald Ross masterpiece that has been repeatedly named "Best Public Course" by Augusta Magazine. There's a lot of history behind Forest Hills; it's where Bobby Jones started his Grand Slam of Golf in 1930. 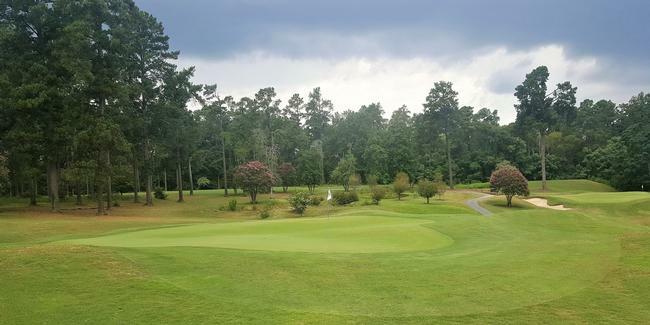 It's also home to the 2010 NCAA Division I National Champions Augusta University Men's and Women's Jaguar Golf Teams, a feat which the Men's Team repeated again in 2011. Several PGA Tour Professionals also played here during their college careers including Phil Michelson and Davis Love III. Men can choose to play from 5 different sets of tees ranging from 7,140 yards (course rating 74.3 and a slope of 137) to 5,098 (65.3/115). Most guys will find that the White Tees (6,183/70.1/126) will provide them with enough of a challenge that they can still leave with a little dignity. Most women here play from the Silver Tees (5,098/69.9/121). No matter your skill level, just choose the tees that are right for your game and you'll have a great time. The golf course at Forest Hills features a variety of holes, some straight, some turn to the right and others dogleg to the left. Water only comes into play on the two par 3 holes on the back, other than that, there's no wet stuff to worry about. The greens are not too fast and roll true. Number 6: Par 5, 487 yards. This is perhaps the most scenic hole on the golf course. It starts off with a blind tee shot, slightly uphill. Trees line each side of the fairway, creating a narrow passage way and a lone fairway bunker guards the right side off the tee. I'm sure it sees its fair share of balls. 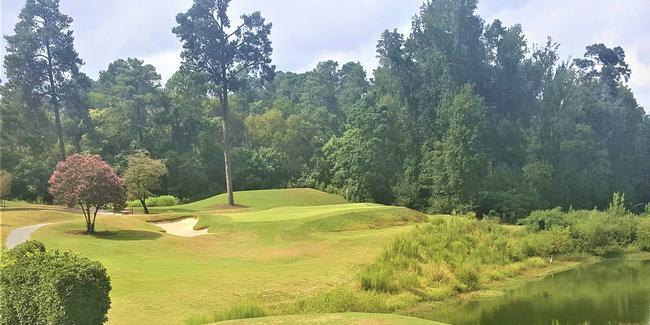 Your second shot plays downhill and is also blind and leaves an approach shot to a smaller two-tiered green. There's not a lot of trouble on this hole, just hit three solid shots to get there and it's easy! Number 16: Par 3, 159 yards. 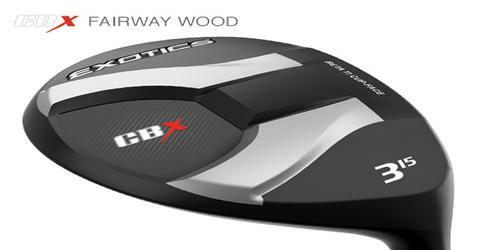 For a hole that's pretty straight forward, this one can give you fits. 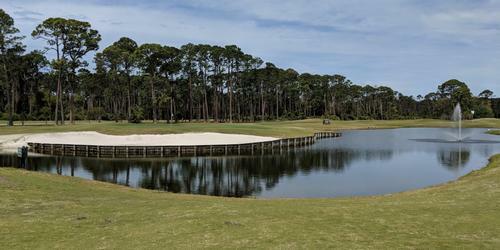 Number 16 plays over water and slightly uphill, perhaps a half to one club longer than normal. Short is better than long as there is plenty of room in front of the green, which is flanked by bunkers on both sides. Anything over the green makes for a tough up and down. Number 18: Par 4, 286 yards. It's not often that a golf course ends with the easiest hole on the course but that is exactly what Forest Hills does. Your toughest chore on this hole is to keep your tee shot in the fairway as it can get very narrow in the landing area. A good tee shot will leave a short pitch to a large green with bunkers front, left and right and trees long. Before your round, be sure to visit the driving range, where you can hit every club in the bag prior to your round. There's also a bar and grill to celebrate in after your round as well as banquet facilities. If you plan on being in the area that magical Master weekend in April, be sure to book your round early at Forest Hills. They are running some great Masters Week Packages which include greens fees, cart, range balls and a boxed lunch, all for one low price. You'll also see some great specials on pro shop merchandise. 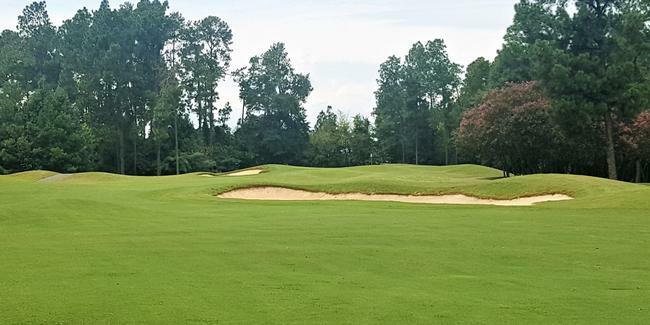 For more information or to book your next round, visit them online at www.theforesthillsgolfcourse.com or give them a call at (706) 733-0001.